Note: This unit is not suitable for use with a standard 2.4m ceiling. Consider our 11ft model for this purpose. Exchange not accepted for incorrect purchase. Get finished in less time and with minimal amount of effort using these Unimac Drywall Lifters, an exclusive offering only from Edisons. With these around, you can finish ceiling and wall construction projects faster with better precision. Instead of working for longer hours, you can spend more time enjoying your weekends. Ideal for one-person installations, these are the best choices to boost productivity, reduce staffing levels and save valuable dollars. Solid and well built, Unimac Drywall Lifters are of genuine trade quality which can be assembled or disassembled without using any tools. With these products around, you can significantly reduce labour costs as you only need one man instead of the usual 2 to 3 persons required to accomplish this kind of tasks. Unimac Drywall Lifters are primarily designed to secure drywall sheets against the wall or ceiling for quick nailing. As they make the loading and unloading of sheets easier, even installations on slanted ceilings are less cumbersome. 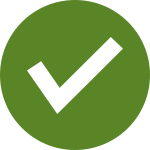 Because they help improve placement accuracy, job site injuries can be prevented better. Unlike cheaper competitors, Unimac Drywall Lifters have many great features including a spring loaded head for total versatility, a collapsible framework for easy transport and top quality powder-coated joints for longevity. Other convenient features include the fold-away mounting points, anti-marking edge supports, accurate easy winch handle and the solid construction. Aside from drywall lifters, Edisons has so much more to offer such as Paint Sprayers, Drywall Sanders, Belt and Disc Sanders, Vacuums, and other important Paint and Plastering Tools. Additionally, we also offer a variety of workshop tools like Hydraulic Presses, Rebar Cutters, Ladders, Laser Levels and Measuring Tools. Make your job easier, more convenient and more enjoyable. 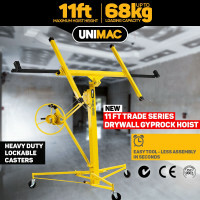 Buy a Unimac Drywall Lifter today!